She strongly believes in consumer engagement and connection, besides the needs of highlighting on travelling smart through ancillary offerings. 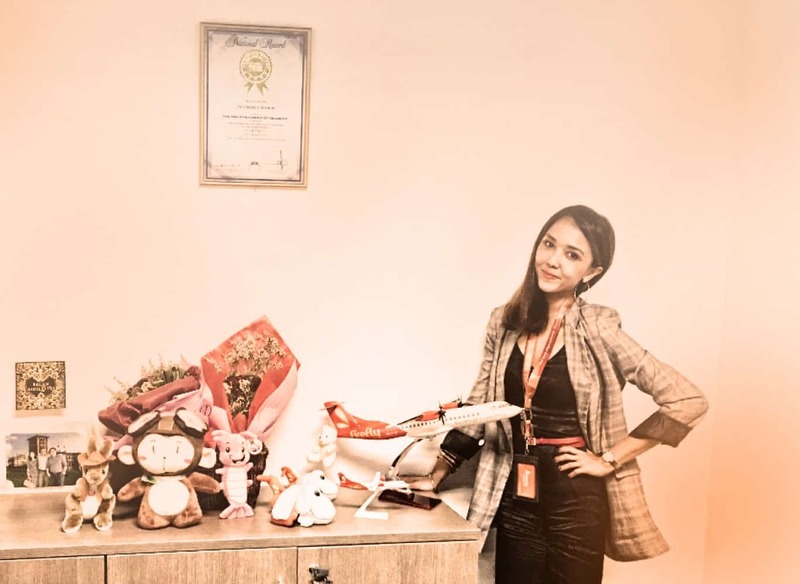 Izra Izzuddin is the Vice President of Marketing and Communications at FlyFirefly Sdn Bhd, commercially known as Firefly. She places a key priority on further developing Firefly’s market demand via activations, market trends, value proposition, promotions and engagement exercises. She strongly believes in consumer engagement and connection, besides the needs of highlighting on travelling smart through ancillary offerings. The team has received multiple awards including the recent The Malaysia Book of Records and SuperBrands Malaysia’s Choice Awards 2017. Prior to joining Firefly, Izra has a career in FMCG, Media & Broadcasting and Aviation spanning 14 years. Worked at Nestle Malaysia Berhad, Media Prima Berhad and AirAsia Berhad, being passionate about brand engagement, marketing in the new era and relationship marketing, her plans are all about turning the strategies around to meet the current market and consumer trend; complemented by her participation as a speaker and delegate at international conferences in Malaysia, Hong Kong, Singapore, Indonesia, Philippines, Thailand and Switzerland. She has broad networking experience and ability to connect with affiliates from different industries for marketing opportunities, planning and future partnerships. A Malaysian, born in Penang and graduated from Universiti Sains Malaysia. She has obtained a Master Degree in Business Administration (MBA with distinction) from the said university in 2004. She also holds a Bachelor’s Degree (Hons) in Management with Marketing Major and a Diploma in Business Studies from the same university, while a PhD is still in her pipeline. She enjoys travelling, running, outdoor & extreme activities and of course, coffee. Now, let’s jump into the questions. Tell us about your role in Firefly. I’m a Vice President of Marketing & Communications, responsible for all Firefly’s marketing, branding, advertising, PR, social media, digital marketing, media buy, events and ancillary revenue activities across the network regions. How do you see the evolvement of the local budget airline industry for the past decade? First of all, Firefly is not a budget airline. It is a full-service airline that flies Turbo Props and every basic extra service is provided, without having the need to spend any extras. Nevertheless, I can say the industry is growing tremendously, as well as the competition. Every airline has been doing their level best to position and differentiate themselves. Competition is a good problem as it brings you the needs to push further to stand out. At the end of the day, any differentiation made by any of these airlines, the key essence has to be beyond flying customers from point A to B. Efforts were made to sustain the business and presence in the market, not just another element of the hospitality and travel industry. Can you share the influence Firefly made towards the nation’s aviation industry since its existence? Firefly is 10 years in 2017, going into our 11th year. It was “born” to add value to the society by having the very first tagline “Your Community Airline”, as another option, focusing on short-haul flights, not cannibalizing the national carrier’s major sectors. Not just to the industry, Firefly acts as an enhancer to the tourism industry and corporate travellers, when it introduced “Beyond Convenience” as a new tagline and brand personality. Be it customers or corporates, it offers value-added services, B2C and B2B. Being the first to innovate and introduce new products (non-flight services) such as e-wallet, eStore, c-wallet and more proves that it carries its tagline perfectly. I can say, these efforts and existence made an impact on the aviation industry when they are known internationally. Where do you see the industry is heading to in the next 5 years? Despite the fast-paced competition, I say it is a struggle yet making every airline work hard to ensure high quality and the best service, from every angle of the business. Nothing will stop the industry to grow as the needs will always be there. People want to move fast, time is money and with that, Firefly is also educating the society to fly and make full use of the convenience of on-ground offering such as Grab, instead of driving all the way. By opening the nation’s eyes and show them the real scenarios, I believe Malaysians will be smart travellers and the industry will keep moving. Limitations will always be there as we are all ruled by regulations and authority but trust me, those are to ensure airlines give the best in terms of service and safety. As you can see, the industry players are swarming the Internet, as it offers an equal playing level when it comes to marketing campaigns. Do you see this as a challenge to Firefly’s online game plan to fight for bigger market share? Obviously yes, but again big boys have fair and dedicated resources. For instance, bigger airlines have their own digital department to focus on online efforts. We at Firefly, believe in optimizing the cost and resources by ensuring the marketing budget spent on the right channels. I admit that this is no longer a traditional marketing era, where everyone is tech-savvy, instant and relevant. We keep the old-ways minimal, for brand recall purposes and put more initiatives and allocation for digital, current and direct reach. We do things in-house, in fact, our FireflyTV contents on YouTube channel were produced internally without having to spend or just minimum. The bottom line is knowing who you are talking to. It’s not easy to capture the online community’s attention anymore. There’s a war out there. How do you plan to rise above the noise in 2018? Differentiation, direct reach and be relevant. Talk to the right people because you know your market/audience. Our key contributor is still the corporates. Business travellers want things fast and efficient. Time is money. It is beyond making a noise, as the airline itself has to ensure that the flying experience is all that matters. We do catchy campaigns, visuals and communications, to ensure we stand-out, once in a while, if it is not always. Leisure demand is growing, so we engage with the audience directly. The plan for 2018 is going to be different as we will invest more on digital and current such as content marketing, optimization via partnerships with travel portals, Whatsapp and Waze marketing, campaigns that are only available on our website or mobile apps, etc. To continue having SEO, SEM and presence in key portals. First, the brand has to be the first to be seen, so we do the front page visibility then engage. Do you think the Content Marketing route will help to enforce your brand into the consumers’ heart better this year? Yes, I do. We have started content marketing last year and it is via FireflyTV. We introduced FireflyTV in 2016 and actively having contents in 2017. We did an in-house heart-wrenching content for Malaysia Day 2017 which had more views than a professionally produced videos. I do agree that consumers need to be educated via content as it explains more than just a visual. It shows how things work and the experience can be seen. Edutainment is key and has to be real. We speak about the real scenarios such as the recently produced Travel Smart with Firefly and Grab. It educates people to save time, travel safe and have more fun at their destination rather than wasting time on the highways with all sorts of hassles. We will definitely continue this. Which combination of channels should contribute the most paid customers in 2018, is it social media, email marketing, networking event, corporate partnerships or other channels? We at Firefly believe in two or more ways of communications. No more talking to yourself. Every channel has its own capability and purpose. Some works for all initiatives and some for the niche or dedicated ones. It has to be engaging and talking on social media paired with all the marketing collaterals that the customers see on our platforms. They see, they ask, they get the answers and the act. Networking and partnerships work well for us as we know we cannot do everything alone. Partnerships give the best for certain initiatives such as Insurance, Holiday packages, products that are not flying-related and more. Ground activations are where people see us, making the availability and visibility real. In short, all channels contribute, so long we strategize and they are dynamic. Quality versus price, where does Firefly stands when offering services to your customers? Both. Our price matches the quality and value-added services we offer. As mentioned, we are a Full-Service airline and not a low-cost one. We believe that every fare we set is compatible or even lower than the overall service we provide. From being an airline that saves your time by being in the City and every point of pre-flying can be done online, to ensuring you reach your destination on-time, giving free in-flight allowances and value such as baggage, refreshments and more! Other than quality and price, safety is key to us, and don’t ever forget that! How do you see traditional marketing role in contributing to your marketing goals this year? As a brand recall like hey, we are still around, check us out. More for the potentials than existing. Corporate travellers and suburb society still read newspapers and listen to the radio while driving to or from work, or even at home. I will still imply traditional efforts in my campaign A&P mix when it comes to Key ones of the year such as a promo for everyone! Important as we say, this will bring you back to basics. Keeping your potentials close and existing ones closer. Relationship and trust are key to any businesses. Without PR, you will lose your value. As an individual, I believe that good relationship and mingle around are the things that keep me having many friends and business contacts for years. Some are even friends now even we started as business contacts. Media members are to be treated as friends too as at the end of the day, they help shout your brand and initiatives. The above points are key in this business. In short, TALK! The best way to contact you? To the travellers, be smart. See the value in every single cent you spend. To others, if you have not “tried” Firefly, write to me, perhaps we can do something and let you experience the Beyond Convenience airline. Time is money and travels smart with Firefly is priceless!